Throughout the whole month of May 2019. May is Arthritis Awareness Month. We all know living with any type of arthritis can be hard. However social media, especially Instagram can be a powerful tool in connecting and relating to others. We can share are ups and downs, challenges and triumphs, things that motivate, inspire and bring us joy, in just a picture. Anyone living with arthritis (all types) is eligible to participate. Instagram. Follow @iamkeepingitrealwith and @risingabovera for updates. Each Monday (with the exception of Wednesday 5/1 that day’s winner will be announced Sunday 5/5) a prompt will be posted on Instagram. 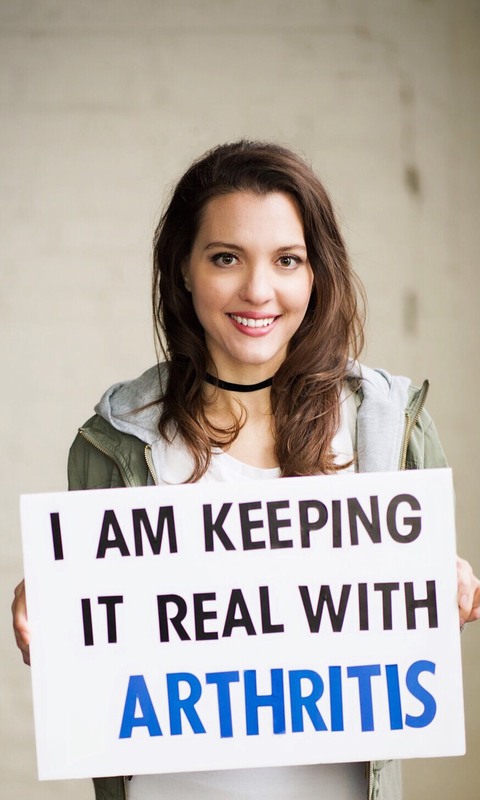 Participants will be able to share a photo or answer a question with the hashtag, #IAmKeepingItRealWithArthritis. In order to be eligible to participate and win a prize, the hashtag must be used. The four prizes are TBA. Each Sunday (May 5th, 12th, 19th, and 26th) one winner will be announced via Instagram Live, for that particular week. 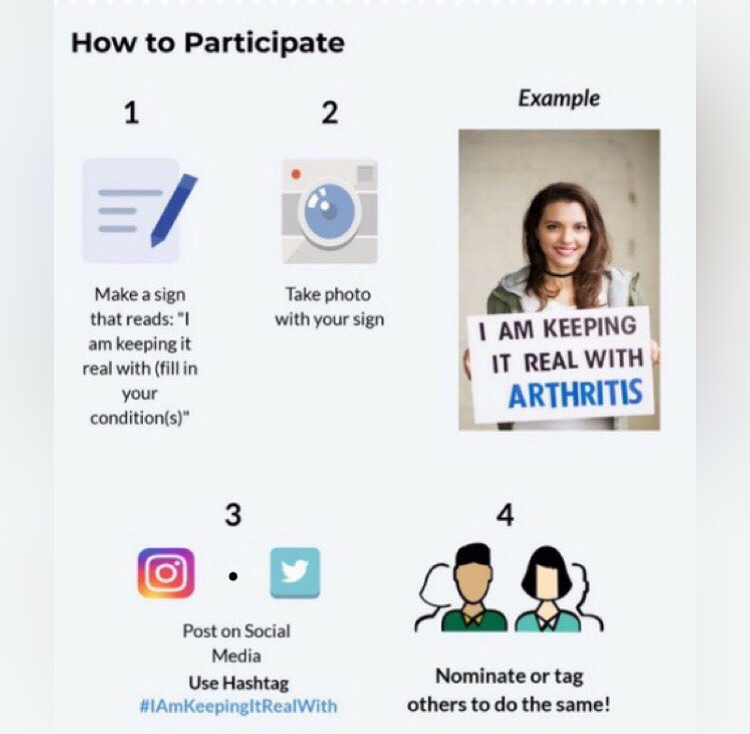 Note: If you win a prize one week, you won’t be eligible to win or be featured in the Arthritis Warrior Wednesday spotlight for a second time. Prizes will be mailed or emailed to winners in the beginning of June. 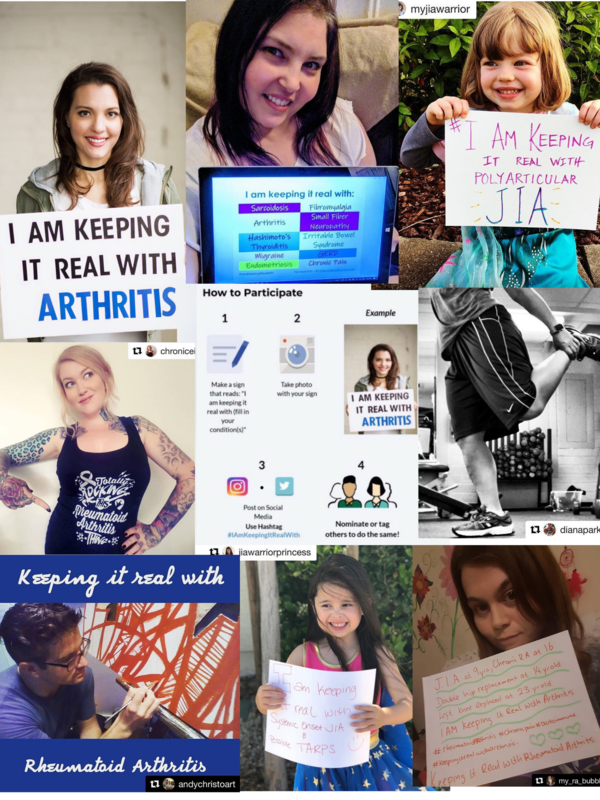 Winners of each week will have a featured spotlight for Arthritis Warrior Wednesdays on @iamkeepingitrealwith and @risingabovera Instagram. Those who win will be contacted with further details each Sunday. *There will be a special Arthritis Warrior Wednesday spotlight you won’t want to miss on 5/1. self-expression, using just a picture and phrase. 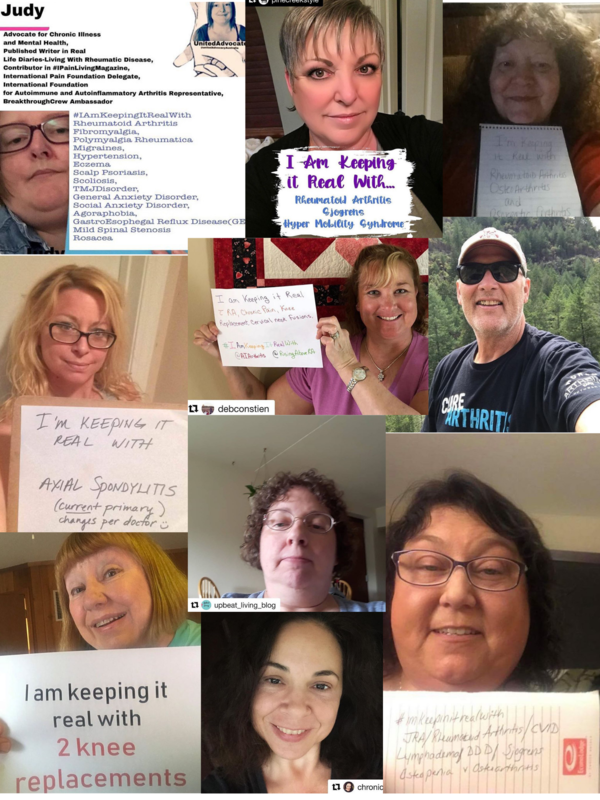 Join the #IAmKeepingItRealWithArthritis movement throughout May 2019 on Instagram here. Want to see what last year’s challenge looked like? Check out participants photos below.